Lion Ferry was a Swedish ferry company which operated passenger and freight ferry services in Scandinavia and North America. The company commenced operations in 1960 on the Halmstad – Aarhus route. In 1965 the Norwegian operator Europafergen was acquired. In 1973 Lion Ferry formed a joint venture with Irish Shipping and Fearnley & Eger to form Irish Continental Line to open a new ferry route from Rosslare (Ireland) to Le Havre (France). Irish Shipping went into liquidation in 1984 and Irish Continental Line was sold off in a management buyout emerging as the Irish Continental Group. In 1970 the company opened a new route between Portland (USA) and Yarmouth (Canada), however this route closed in 1976. 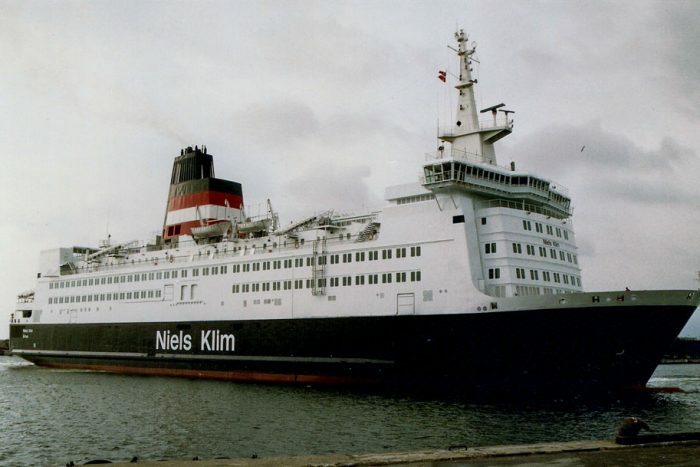 In 1985 Lion Ferry was acquired by Stena Line but continued to operate as a separate company within the Stena Group. In 1995 the company opened a new route from Karlskrona (Sweden) to Gdynia (Poland). In 1997 following a reorganisation Lion Ferry was rebranded Stena Line.